This handsome, mid-block, red-brick building was erected in 1920 and converted to a cooperative in 1983. 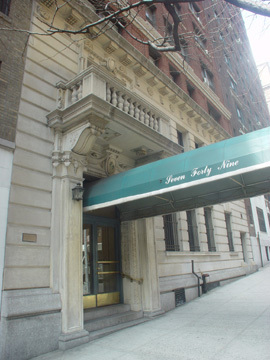 The 12-story building has 35 apartments. The building has a two-story rusticated limestone base and a canopied entrance flanked by lanterns and topped by attractive bas-reliefs of fish flanking its incised address beneath a large balcony. It permits protruding air-conditioners, but does not have a doorman, or a concierge, or any sidewalk landscaping. 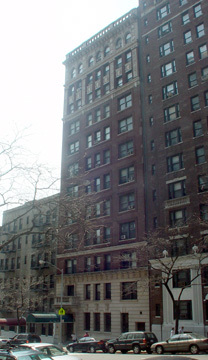 One block from Riverside Park, this building is very convenient to public transportation and neighborhood shopping as 96th Street and Broadway is a major Upper West Side intersection. There is considerable traffic nearby at the entrance to the Henry Hudson Drive.